For the second part of my Figure Collecting General Information, I will tell where I buy authentic and original figures for my collection and how to determine fakes and originals. I will be suggesting online and physical shops locally since I only tried buying internationally once or twice but not on figures. I saw figures in Divisoria and they are very cheap. Do you buy those since they are cheaper than the ones you really buy? So far, I have only seen a few figures in Divisoria and I can say they are not authentic and original (which is why they are cheap). And no, I don’t buy them because I am more into the original ones and not into bootlegs. Don’t get me wrong, I have nothing against collectors buying bootlegs since that is their choice and I can’t blame them because most original figures are expensive. It is a matter of choice and I respect that. It is just my preference to buy the originals. If I can’t buy the expensive figures I want, I would have to wait until the price goes down or when I have saved enough money. Believe me, even if I am an avid figure collector, I still have a lot of figures in my figure wishlist and I dream of the day when I can get them. No need to rush (though sometimes it can’t be helped that I suddenly do impulse buying). So, all I have to do is save up for a certain figure and buy it when I have enough money---and then I repeat the process for the next figure. (Hahaha and I think this is the reason why I sometimes take extra work). 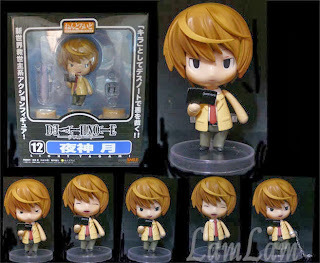 Okay, I went out of topic there but basically, no I don’t buy the cheaper figures in Divisoria. 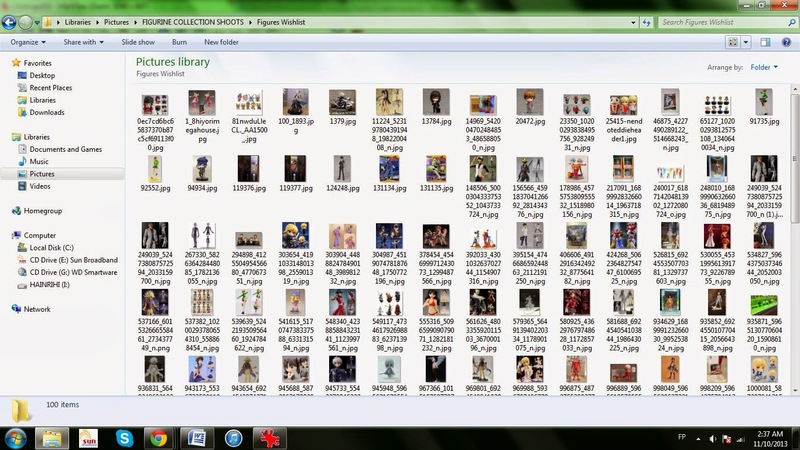 How do you determine the authentic and bootleg figures? Again, with this question, I had the help of wedylawliet as she knows more on how to determine between the fake and authentic. While I will provide the best information I can, I will also be giving some links on how to determine if the figures you buy are fakes or not. One way to determine is taking a picture of the figure under typical indoor lighting without the flash. If the light reflects on the figure, it is surely a fake. And obviously, if not, it is authentic. If the figure’s texture is not matte like the skin, hair and clothes, then it is a fake. You should also look at the stand and when it says “Made in China” and nothing else, it is a fake. When it comes to certain parts of the figure, if the texture is not fine (like there is a small plastic protruding), it is a fake. A figure is fake too when the paint is not good at all, compared to the real one. Fake figures are sometimes missing the official stickers on the box, so check if there is a sticker or not. So where do you buy your figures? In my more than one year of collecting figures, I already have specific online and physical figure stores I go to and these are the stores I would recommend for newbies out there. My recommendations here are based on first-hand experiences, the services and trust on the owners who have made my figure collecting easy and wonderful. 1. 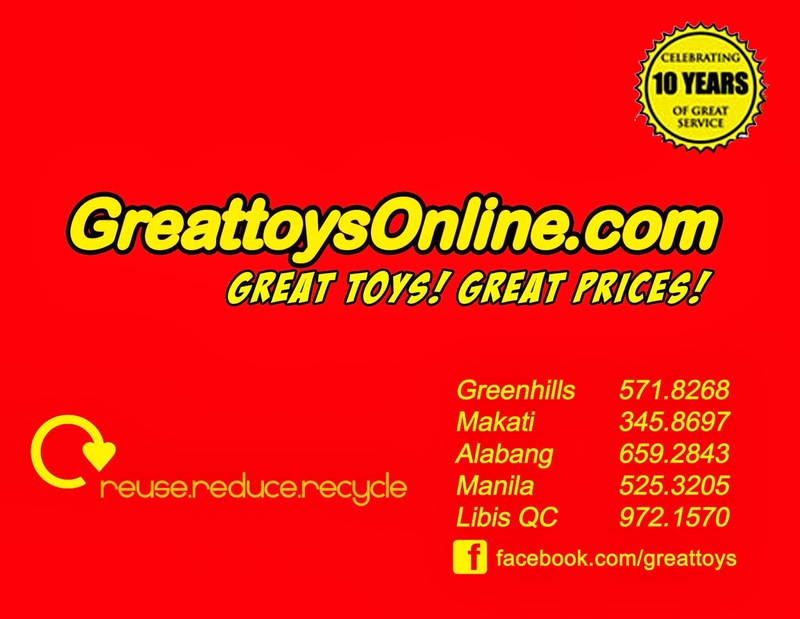 Greattoys Online – Despite having the word “online” in their name, Greattoys have various physical stores in Metro Manila, with Greenhills as their main branch. 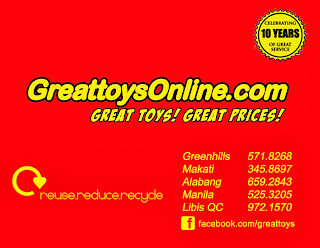 “We are GreattoysOnline.com (Registered as GToy's Marketing). The Philippines' Online and Sports Superstore providing the best original Collectible Toys and Hobby Products 100% Genuine Authentic from USA and Japan. GreattoysOnline.com started on eBay in June 2001 and now has 5 Retails stores, 2 eBay stores and online store to serve all Toy and Hobby Enthusiast. I was never disappointed with Greattoys because they have various figures at affordable prices. Sometimes when I am looking for a rare figure, I find it in Greattoys. This is also convenient for those who don’t want to wait for days or weeks of shipping and wants to get the item immediately in their stores. While they also offer shipping, some figure collectors like me are very meticulous and would rather get the figure(s) in the store than have them shipped (and also because there are shipping couriers who are not very careful in handling figures). The owner, Malvin Lim, is also very accommodating and will answer your inquiries immediately through email (he prefers it that way). You can also have your item reserved and get it immediately in their store (with 3 days reservation). If you want to look at figures in person first (especially those available in their stores), check out Greattoys. SCHEDULE: Open on Monday to Sunday on Mall Hours. Open on non-working Public Holidays. Closed on December 25, January 1, Holy Thursday, Good Friday. 2. Anime/Cosplay Conventions - Aside from Greattoys, we buy our figures in anime/cosplay conventions where various stores put up a booth to sell their merchandise. I can’t remember the names of the figure stores (I don’t have my card holder with me) but you will notice them immediately as the figures are displayed for customers to see easily. If not, you have to squat and look very carefully at their big Tupperware boxes that are full of gashapons, trading figures and prize figures that are sold at affordable prices. This is where we actually started, so we make it a habit to look for great figures at cons. Most of the time, I order my figures online so there will be more stores here than the physical ones. “Run by the 2 admins of Team Onii-chan, we are a loving couple of dedicated collectors who have decided to open our once private ordering service to everyone. Just like Greattoys, I was never disappointed with their services and the two owners are very approachable and trustworthy. It is actually in this store that I bought my first ever large scaled figure, the Kotobukiya’s ArtFX J 1/7 Seto Kaiba. When I was inquiring about that, it was my first time buying a figure online and from their shop so I asked the procedures and other information. One of the owners talked to me through PM and explained me everything, which were very easy to do. 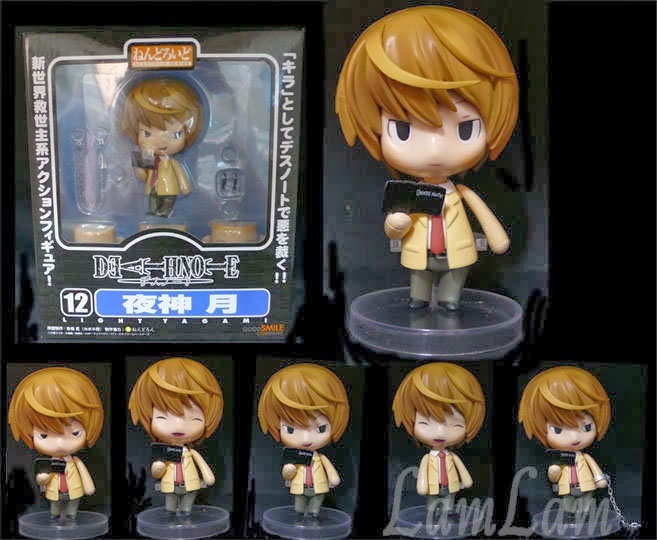 I bought the Kaiba figure by paying the downpayment in Paypal and paid it when it arrived a few months later. 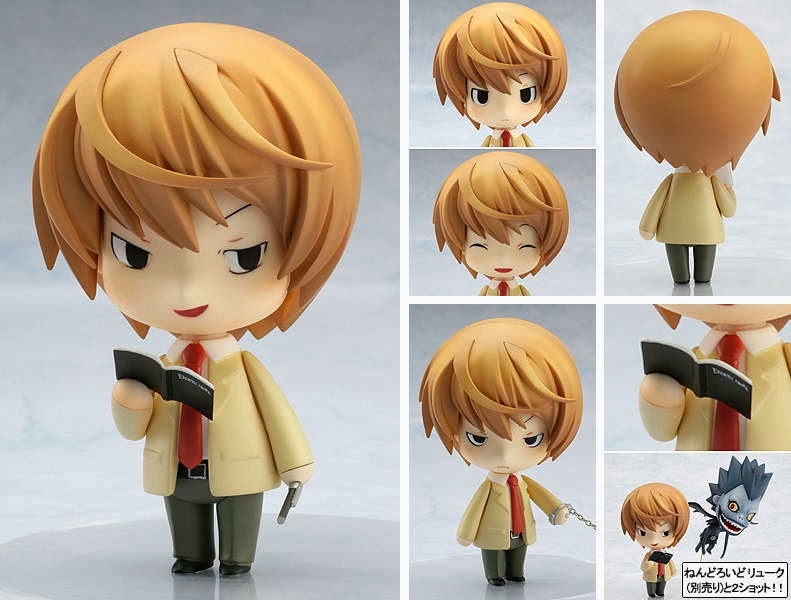 Since then, I have been buying some figures from them---especially the pre-order figures where you can pay a certain amount for downpayment and pay the remaining balance before the item arrives. 2. Groomy, Inc. – I just learned this from a friend and decided to check them out when they had a physical store. This online shop had a physical store before but closed down and concentrated more in online selling. I also love this store because they sell not only figures, but also various Japanese/anime merchandise at affordable prices. I also found rare figures in their catalog and I have bought items from them around 3-4 times. I already met the owner and she is very approachable and knows her Japanese. So far they have never disappointed me and plan to buy more from them. These are just some of the stores where I get my figures and I plan to make separate posts for each store when I have the time for a full review. But, at least with this, you will have an idea where to get your figures. If I find more, I will post it here. PS. If you want to check out part 1 of the FAQ on Figure Collecting, click here. Thanks a lot for this really an amazing and nice post ,.